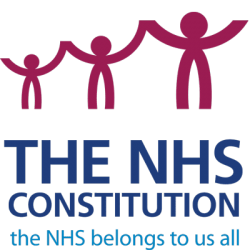 The NHS Constitution provides information about your rights as an NHS patient. The NHS Constitution has been created to protect the NHS and make sure it will always do the things it was set up to do in 1948 – to provide high-quality healthcare that’s free for everyone. No government can change the NHS Constitution without the full involvement of staff, patients and the public. It is a promise that the NHS will always be there for you. The Constitution sets out your rights as an NHS patient. These rights cover how patients access health services, the quality of care you’ll receive, the treatments and programmes available to you, confidentiality, information and your right to complain when things go wrong.